Kroger said in a statement Tuesday that it is adding 11,000 positions this year, including nearly 2,000 management jobs. The Cincinnati-based chain also said it is investing $500 million in employee wages, training, and development over the next three years due to the money it saved from the tax reform. Details of the “Restock Kroger” plan will be announced later this month. The grocer said it had created 10,000 new jobs in 2017 and 12,000 in 2016. Today, Kroger and its subsidiaries employ nearly half a million associates. 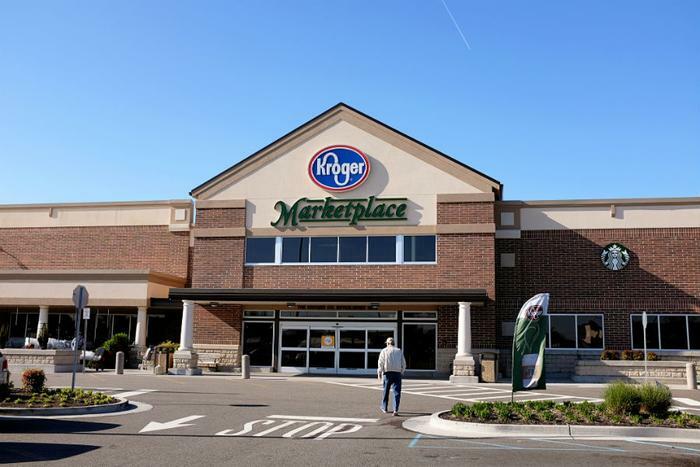 "Over the last decade, Kroger has added 100,000 new jobs in communities across America," said Tim Massa, Kroger's group VP of human resources and labor relations. "In addition to fueling the U.S. economy, many of our supermarket jobs are an opportunity for associates to grow and advance their careers." "Kroger is a place where you can come for a job and stay for a career," Massa said. "We are committed to creating great entry-level jobs and investing in our associates so they can reach their full potential." The company’s growth comes at a time when the grocery industry is undergoing big changes. Amazon’s acquisition of Whole Foods, as well as efforts made by other grocers to align with changing consumer preferences, have fueled competition among food retailers. Walmart has made several moves to stay competitive in the industry, including expanding delivery options and launching its own line of meal kits. Efforts made by Kroger include expanding its “Scan, Bag and Go” platform, which allows shoppers to scan and bag items as they shop. The company aims to make the service available in 400 locations by the end of this year.